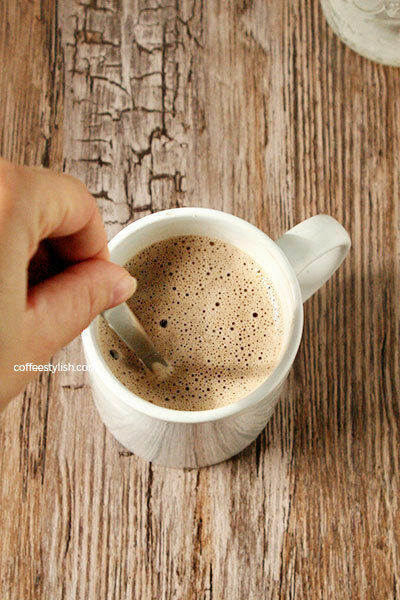 Made using almond milk and raw cocoa powder, this is a healthy twist on chocolate mocha. This is the recipe you want if you’re craving mocha flavor and creaminess, but you’re interested in vegan or paleo meals. It’s healthy, sweet and comes together in no time! 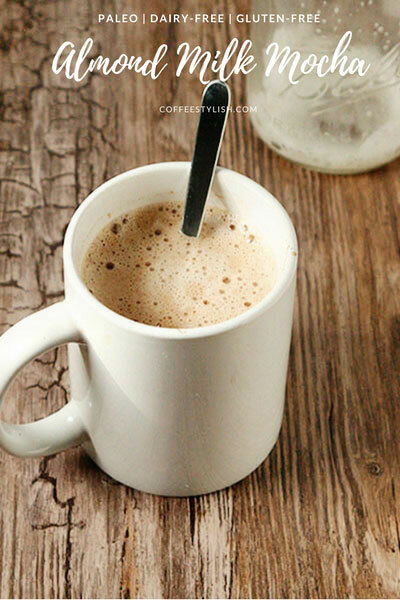 To make this paleo mocha, you start by brewing strong black coffee – any brewing method will do. Next, you stir in some quality cocoa powder and honey and finish with warm almond milk. Make the coffee using your favorite brewing method. Add 1 tsp cocoa powder and 1 tsp honey and give it a good stir until cocoa powder is fully dissolved. Slightly heat 1/2 cup almond milk and slowly add to your coffee while stirring. A quick side notes: You can use cold almond milk. I like to warm it a bit before using to get that nutty and intense flavor. And yes – you can absolutely use maple syrup or Stevia (1 tsp maple syrup or 2 drops of Stevia, or to taste). This is the simplest of almond milk lattes and it’s so good. For those who are trying to reduce exposure to chemicals in plastic as much as possible, here’s a list of my favorite plastic-free coffee makers.